Fighting out of Natal, Rio Grande do Norte, Brazil, Jussier “Formiga” da Silva, 33, won in his most recent bout in the Ultimate Fighting Championship. It was his eighth victory in the promotion. Featuring 12 mixed martial arts matches, the UFC held “UFC 229” at the T-Mobile Arena in Paradise, Nevada, United States on October 6, 2018. 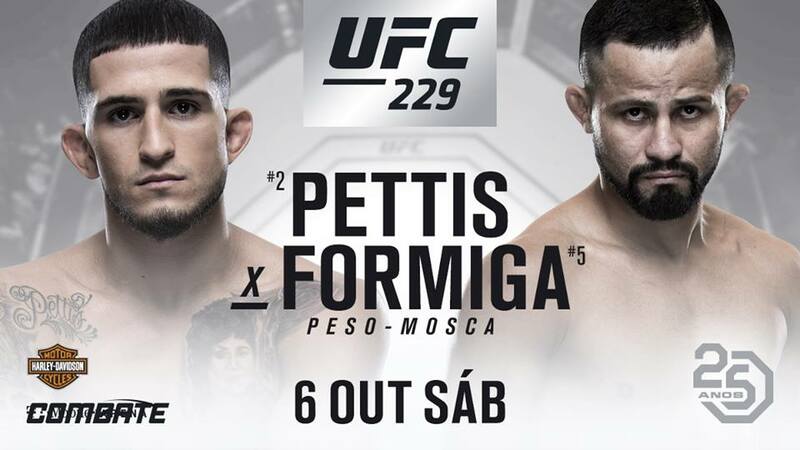 In the seventh bout of the evening, da Silva competed in the flyweight division against Sergio “The Phenom” Pettis, 25, of Milwaukee, Wisconsin, United States. After three five-minute rounds, the flyweight bout between da Silva and Pettis was left in the hands of the judges. In the end, referee Herb Dean raised the hand of the Brazilian contender as the winner via unanimous decision. “UFC 229” marked da SIlva’s 12st UFC bout. The first seven opponents he defeated were Chris Cariaso, Scott Jorgensen, Zach Makovsky, Wilson Reis, Dustin Ortiz, Ulka Sasaki and Ben Nguyen. By defeating Pettis at “UFC 229,” da Silva mproved his professional mixed martial arts record to 22 wins and 5 losses. On the other hand, Turner’s record downgraded to 17 wins and 4 losses.